There’s nothing in the world quite like the experience of shark fishing in Key West. This overview will give you a little taste of the incredible action. Make no mistake about it– shark fishing is exactly as awesome as it sounds. This is especially true in Key West, which is home to an abundance of these magnificent creatures. Shark fishing is something you have to experience firsthand to understand completely. Read on to find out what to expect. Although you’re quite right to think that shark fishing will give you the rush of a lifetime, the image you have of it might be a little off-base. When most people think of shark fishing, a scene from a movie usually comes to mind. If it’s not a scene from Jaws, then it’s at least a vision of terror and backbreaking labor. But this isn’t how shark fishing actually plays out. Yes, there’s a lot of action involved– sharks are definitely fighters– but the experience is safe, fun, and very rewarding. You will need the right guide, however. You’ll need a guide like one of the captains at KW Fishing Link. They have the experience, patience, and knowledge to get you to just the right spots. Their shark charters also include all the equipment and bait you’ll need to land one of these beautiful monsters. They offer a variety of shark fishing charters, but all of them include guaranteed action. 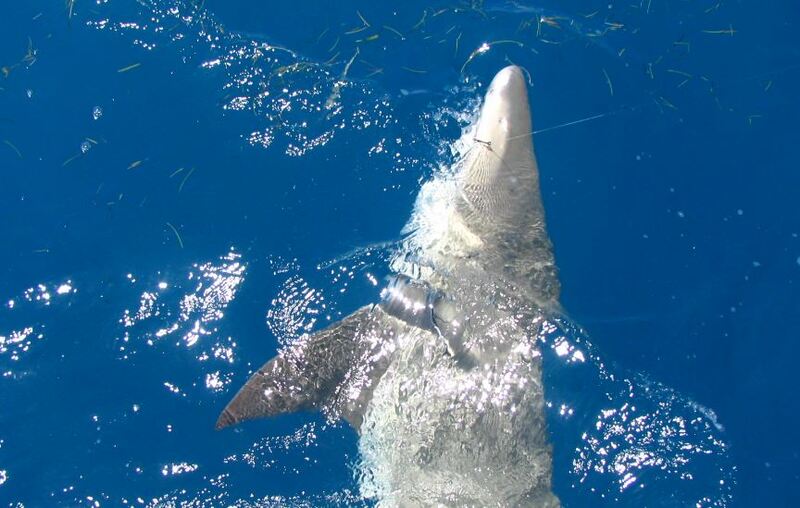 A day on a Key West Fishing Link charter will show you what shark fishing is really all about. Depending on the species, the weather, and the time of year, you can find sharks at many different depths of water. But generally speaking, Key West sharks usually gather at depths of under 20 feet. This means you’ll often be able to see the sharks swimming around the boat. That’s when your serene ocean adventure takes a slightly more thrilling turn. Hooking a shark is just the beginning. Though Key West sharks come in a wide variety of sizes, none of them are going to jump onto your boat without a fight. The Key West Fishing Link captains will guide you through the process, but you’ll definitely have a challenge on your hands. It’s not uncommon to land a shark weighing upwards of 100-200 pounds. Once you hook a shark, they’ll usually make a powerful beeline away from the boat. It will take endurance, patience, and coaching to reel them back in, but the reward is in the fight itself, as well as in the pride you’ll feel taking a photo of your catch before releasing it. There’s a lot of great information on shark fishing to be found at FKF Charters Website. 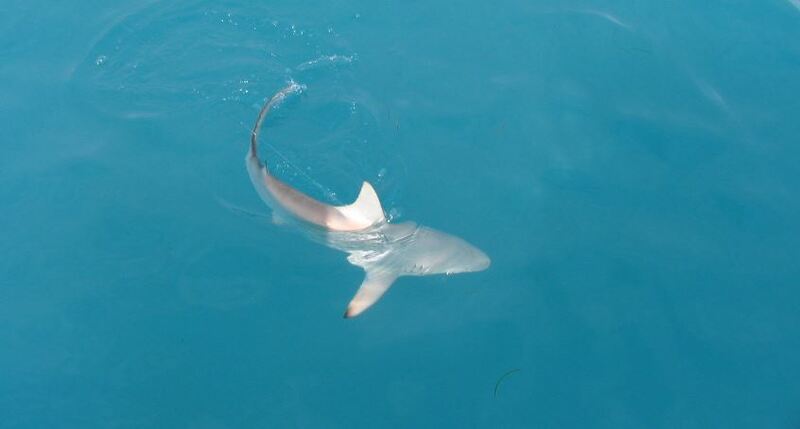 In addition to details about the enormous variety of shark species swimming near Key West, the site is also packed with information about various kinds of charters. Trusting your guide is the best way to land a Key West shark. Contact the great people at Key West Fishing Link or The FKF Charters Website today to book the ocean adventure of a lifetime.